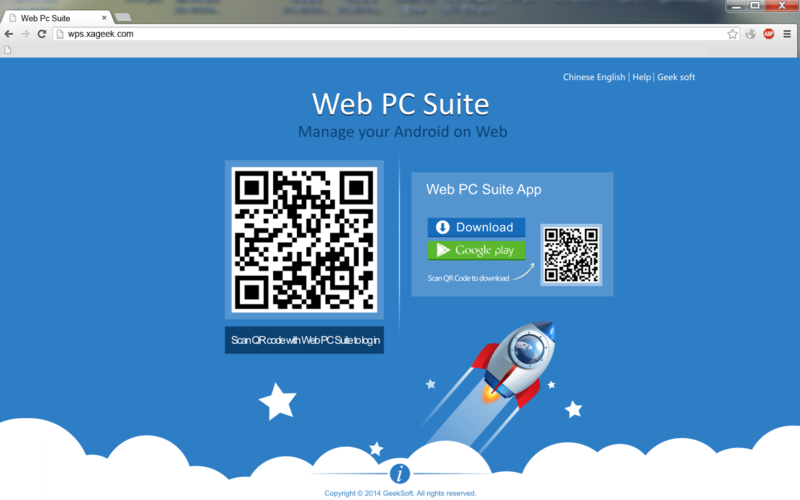 Web PC Suite is a simple but pragmatic app which helps you manage Android content on PC or Tablet wirelessly. Web PC Suite brings you new experience by syncing your Android content with PC or Tablet. Scan QR Code to connect your Android with computer to transfer and manage your Android on Web. It’s easy, useful and fast! Scan QR Code to log in: Under WiFi network it can connect your android with your computer without USB cable. 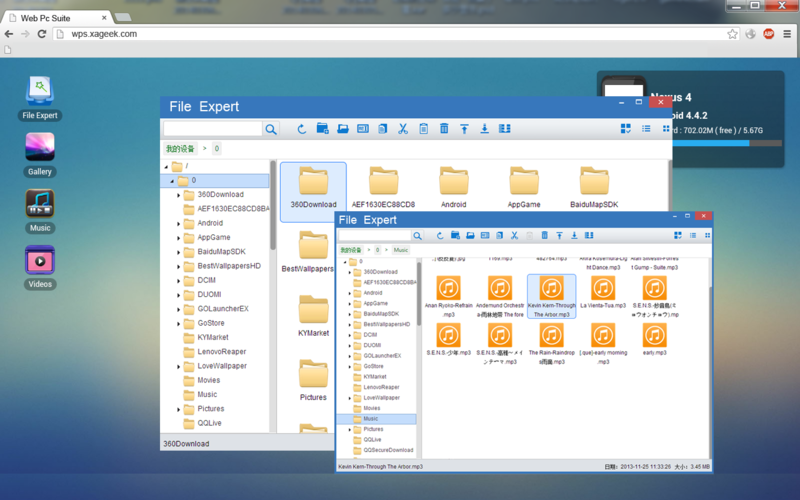 Enjoy big screen, and PC keyboard: It’s too difficult to manage your folder or files on Android tiny little screen? Web PC Suite helps you manage your Android content on computer browser, and enjoy the easiness of computer keyboard and screen. Cross-platform file transfer: Want to transfer files between iPad and Android, but the Bluetooth is too slow? Web PC Suite helps you solve the problem. Categories: It will automatically put your Android media files into Gallery, Music, and Video three categories and display them clearly on your web. Batch Operation: It supports batch upload, batch, copy, cut, and paste files on web. App Install: Easily install APK from your PC to your Android. Txt viewer: Support read your Android txt format files on web. All basic file management operation: It supports rename, copy, cut, paste, and delete, as well as downloading your file as a zip from your Android to your computer. Why choose Web PC Suite over other apps? 1 Web PC Suite is the smallest (2 M) among all similar apps. 3 Support all main stream browsers: Chrome, Firefox, IE, Opera, and Safari. 6 Developed and published by GeekSoft, the developer of File Expert, which has 50,000,000 users all around the world, and rated as 4.5 stars on Google Play. Notice: Please make sure your Android and PC share the same network, or you will fail to connect.